6th-8th grade math and science implementation of blended learning in a rural school district. 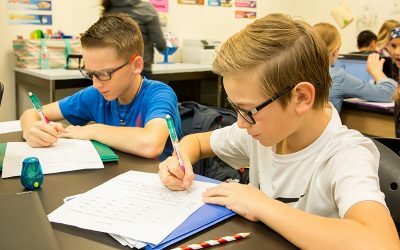 Core strategies include identifying mastery with MAP tests, monitoring progress through pretests and posttests, gathering unique data through YouthTruth surveys and emoji folders, and using playlists and goal-setting to personalize learning. 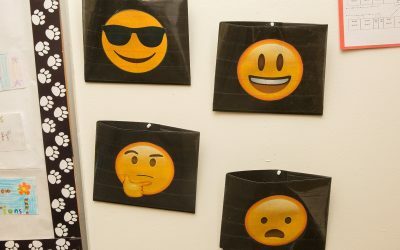 Interesting or unique highlights to checkout: Students moving at different speeds with “must do’s” and “may do’s,” students building ownership with student-led instruction and choice of learning activities, and students providing quick daily feedback to the teacher through emoji folders. Cisco ISD is a high-performing rural school district in north central Texas, about two hours outside of Dallas. The district has approximately 900 students and is comprised of a single elementary, middle, and high school. The district is proud of its students continually performing well on state test scores, but sees blended learning as an opportunity for additional growth. Students scoring “advanced” in grades 3-8 math and science, for example, have been roughly at the same percentage for several years. 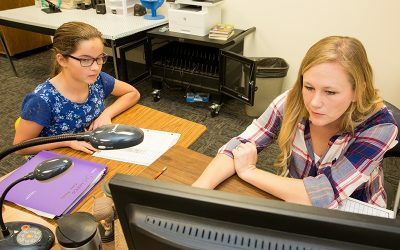 In 2016, Cisco started to pilot blended learning in its elementary and junior high school campuses in hopes of improving academic outcomes for advanced math students. The initial pilot proved successful, and Cisco is working to scale blended learning across the district, expanding it to additional content areas and grade levels each year. In 2016, Cisco ISD started its implementation of blended learning with a station rotation model. While blended learning took hold in 2016, planning started the year before. 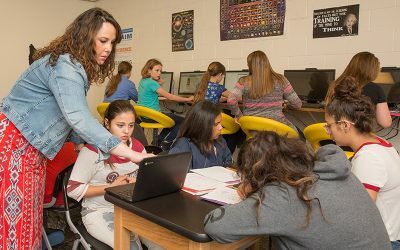 To help with planning and implementation, Cisco applied for and won a grant from the Raise Your Hand Texas Foundation, becoming one of the demonstration sites for Raise Your Hand Texas’s Raising Blended Learners Initiative. This designation provided Cisco with monetary and technical support to help prepare for the transition to blended learning. Working closely with the CA Group, Cisco identified four core pillars of blended learning to address the aforementioned academic issue and improve their students’ experience. The pillars are: data-driven instruction, student agency and engagement, personalized learning experiences, and rigor/competency progression. These core elements of the student experience were thoughtfully developed through a deliberate design process involving a team of district leaders, campus leaders, and pilot teachers. This cross-functional team initially determined how blended learning could help address the challenge of improving academic outcomes for advanced math students. For the first year of implementation, math teachers in 4th-7th grade (four teachers total) were selected to pilot blended learning in their classrooms. Most of the early work focused on helping them identify how to create improved instructional opportunities within each of the four student experience design pillars. The initial focus of this work centered on using data, technology, and small group instruction to improve the students’ experience. The same team that designed the blended learning pillars met regularly to evaluate the effectiveness of the pilot. Informed by student and teacher data, they made changes to the design and implementation components of the initiative, ensuring the work was continually aligned with their vision and meeting their goals for student centered blended learning. While the initial pilot was not without its challenges, and hard work to address those challenges, all of those involved saw the value of blended learning and thought it would be beneficial to students beyond the pilot classes. In 2017, Cisco worked to increase the breadth and depth of its blended learning practices. Year 1 pilot teachers started to expand their blended practices, identifying additional or improved opportunities for data use, personalization, and mastery. The pilot also expanded to 4th-8th grade science, and 8th grade math teachers in Year 2. While changing teaching and learning practices is never easy, Year 2 pilot teachers benefited greatly from the experience and expertise of Year 1 teachers. Many of the lessons learned from Year 1 helped mitigate common challenges (especially technological ones), and Year 2 teachers have a larger network of blended learning teachers they can go to for support. 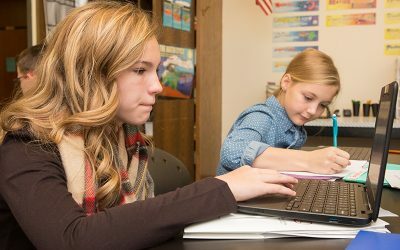 Cisco’s plan to scale blended learning across the district has reached math and science classrooms in grades 3-8 and will expand by additional grades and subjects in future years. 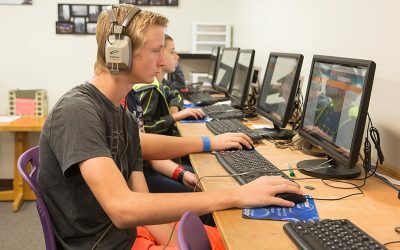 While district leaders have been careful to start the pilots with the most willing teachers, they’ve noticed that blended learning is starting to grow organically within their schools. Several teachers have noticed the pilot’s success, or tried a blended approach to solve an instructional challenge, and have requested supports to expand their blended learning practices. Cisco believes that transitioning blended learning would have been successful under traditional circumstances, but credits outside support from Raise Your Hand Texas for helping them grow the initiative better and faster. 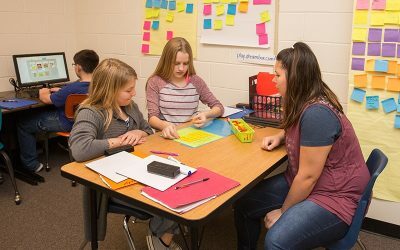 Students in Cisco Junior High School’s math and science classes benefit greatly from their blended and personalized instruction. Prior to blending, students experienced very traditional instruction, with the entire class working on the same content each day. Students are now able to move through the content at their own pace, so students will be working on different learning tasks throughout each class. Currently at Cisco, individual and small group rotations are a common structure for blended math and science classes. Students also participate in a variety of learning activities that align with Cisco’s student experience design pillars, including: playlists, small group instruction, peer collaboration, and inquiry based/applied learning (math games, science projects, etc.). Students use playlists to help keep track of what they are working on. These playlists identify what students must complete to show mastery, and what they can work on to extend their learning after showing mastery. While some learning activities are mandatory for everyone, students get to choose the order in which they complete these activities, as well as who they want to work with on them. 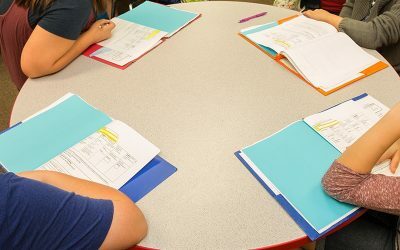 Students working on similar tasks, or with similar learning needs, are pulled for small group instruction to help ensure they get the support they need to be successful. Students at Cisco have more ownership over their learning and more opportunities to be successful. Teachers help students understand data generated through online content as well as formative, summative, and benchmark assessments. 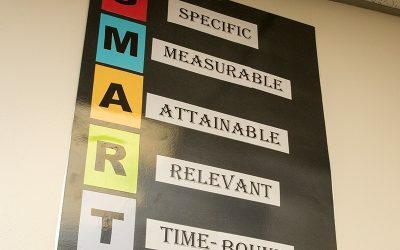 Students use this data to set short and long-term learning goals for themselves, helping them connect their day-to-day learning to how well they perform on assessments. 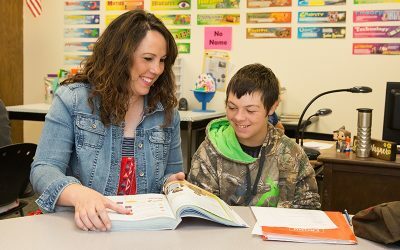 While goals will vary based on need, every student in 6th grade has additional time for individualized instruction during Extension class (also provided to high-need students in 7th grade). Students who are struggling with certain concepts receive additional instruction through small groups, as well as online content. 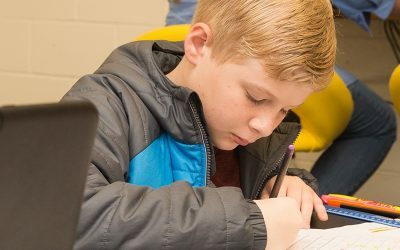 Students who complete their work ahead of others can work on more challenging activities, provided through projects, games, and online content. Blended learning pilot teachers at Cisco Junior High (and Cisco Elementary) enjoy autonomy to implement blended learning however they think is best in their classroom, as long as they adhere to the district’s vision for student centered blended learning. Cisco ISD created four student experience design pillars that align to their vision and provide guidance for teachers as to the general types of instructional approaches that could be most beneficial. The pillars are: data-driven instruction, student agency and engagement, personalized learning experiences, and rigor/competency progression. Every blended class teacher must incorporate each component into their instruction, although they have the freedom to decide how to do so. The district provides resources within each component, helping teachers select and implement pillar-aligned teaching and learning practices. Teachers work through instructional strategy playlists and design templates to develop their approach to blended learning, all with the help of a blended learning director. Teaching and learning has changed drastically in a short amount of time for Cisco’s blended learning pilot teachers. One of the big “ah ha” moments was when they started using MAP tests and could clearly identify skill gaps for their students. 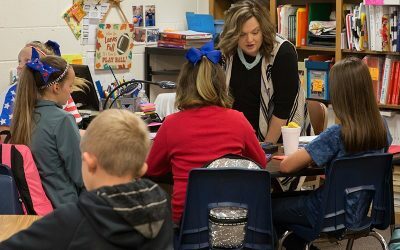 The small district is also a tight community, so skill gaps became urgent matters as teachers almost always have a personal connection to their students. Teachers began to develop playlists that helped students progress through the content they needed to, but also created time for students to work on extension or review activities to better meet their needs. On each playlist, students have “must do’s” that they have to complete to show mastery of the current topic, but teachers provide them with structured choices after they finish this component. Advanced students may choose to move ahead and challenge themselves within that topic, while others that have identified skill gaps may participate in review activities. Teachers are continually assessing formative, summative, and benchmark data to monitor student progress and identify areas of student need and growth. 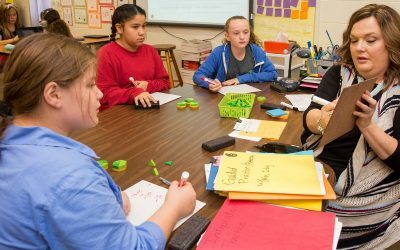 Teachers also work more closely with their students, helping them understand their data and set goals, as well as providing targeted instruction through small groups. Teachers at Cisco have made tremendous strides implementing blended learning and continue to discover new ways that it can improve instruction for their students. 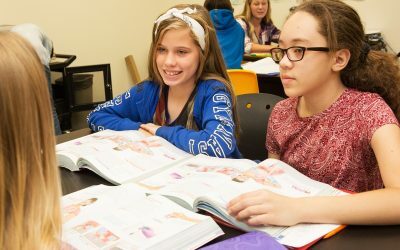 Students in Cisco's blended learning pilot experience a fairly traditional school experience combined with blended learning in their math and science classes. As a small rural district class sizes are small, averaging approximately sixteen students per teacher. While blended learning teachers have reconfigured their classrooms to provide a variety of instructional opportunities to better meet students' specific needs, they continue to leverage in-person strategies to improve teaching and learning. No longer is whole group the predominate teaching mode. Instead, whole group instruction is used to address skill gaps. Warm ups are used to address previous skills that large groups of students are still struggling with, and teachers are changing their language and questions to help promote deeper thinking. 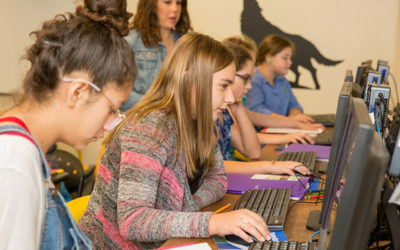 Cisco Junior High provides its blended learning classrooms with all the technology they need. 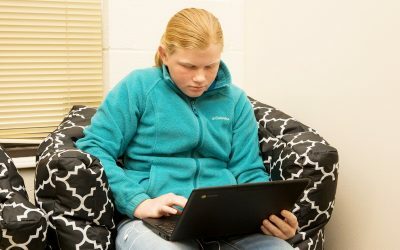 They use Chromebooks and laptops for devices, and while no class has a device for every student, students in every class have sufficient access (usually 10-14 devices for a class size of approximately 16). Software is selected by first identifying instructional challenges, then figuring out what online content best meets that need. Cisco is in the early stages of its blended learning pilot, resulting in the growing integration of teaching and technology across the school. Currently, students in grades 3-8 experience blended learning during their math and science classes. Some students also receive a daily Extension class, which provides additional time for blended learning. Blended learning is expanding rapidly at Cisco, adding additional grade levels (with a specific focus on elementary grades) and subjects in subsequent years of its pilot. Additionally, teachers have started organically adopting blended learning practices throughout the school year. Teachers at Cisco use formative, summative, and benchmark assessments to identify student needs and modify learning resources. Common data sources include online programs, pretests, posttests, and benchmark assessments (e.g. MAP assessments). Teachers and students frequently discuss data and use this information to help students set learning goals. 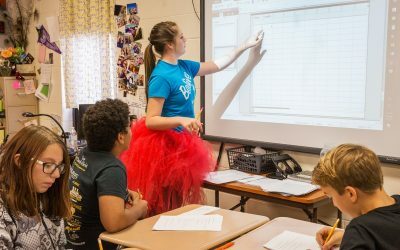 Teachers and administrators also collect non-performance data through formal and informal surveys, using findings to improve the student experience. Personalized Learning Experiences are one of the four core components of blended learning that Cisco prioritizes. Students at Cisco are able to make many choices in their learning, including choosing some of their learning activities, the order in which they pursue them, and with whom they want to work. Personalization at Cisco is achieved, in part, through classroom rotations. During rotations, students can often choose from instructional options such as: independent practice, small group instruction with the teacher, group work, instructional games and hands-on learning, and online instruction. Students also build agency through short and long-term goal-setting and instructional activities where students learn from each other. Mastery-based progression is a foundational component of blended learning at Cisco. Implementing MAP tests helped shift the district’s thinking away from time-based instruction to focus on skill acquisition. Students are able to move at their own pace, within reason. Every student has items they need to complete, which are identified on the student’s playlist. Those students who finish early can move on to more challenging work while those who need more help have the time and opportunities to get it. Each teacher defines mastery of content slightly differently, although students generally scoring below 70% are identified as needing additional supports. 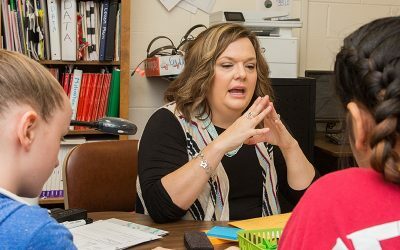 As a small rural district, Cisco ISD developed an approach to scaling personalized learning that leveraged their resources to meet all of the necessary conditions for a successful implementation of blended learning. With the support of the Raising Blended Learners’ ecosystem partners, the district went through a redesign process that highlighted how and why blended learning would be implemented in its schools. They created student experience design pillars to provide guidance for teachers implementing blending learning while still allowing them a great deal of autonomy, and the district has supported the teachers throughout the entire journey. Cisco’s close-knit community and large amount of trust among educators have allowed them to move quickly in creating change, both in improving teaching and learning practices, and in expanding blended learning beyond the initial pilot classrooms. The district’s key conditions for success are highlighted below. Staffing: As a rural district, Cisco staff is often recruited from the community and has a longer tenure than the average teacher. While such a close-knit community has many strengths, it can create challenges for new idea generation and exposure to blended learning. Cisco ISD previously operated with a high-performing traditional approach to education. They have been very careful to make sure the blended learning pilot teachers get the resources they need, including time to plan and prepare, to insure that instructional quality does not drop during the transition. Devices: Cisco uses Chromebooks and laptops in its classrooms. Teachers are provided with enough devices to support their blended instruction. The number is not exact from class to class, but usually is between 10-14 devices per class. Class sizes are approximately 16 students, so this number of devices is sufficient given a station rotation approach. Content: Teachers decide which content to use in their classroom. Teachers work with the blended learning director to identify high-quality content based on instructional needs. 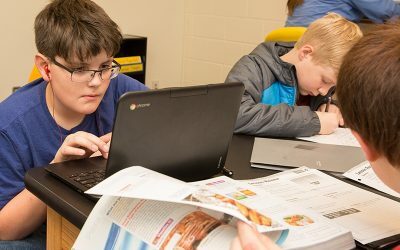 Broadband: Broadband can be a unique challenge for rural schools given it is heavily dependent on infrastructure, which is usually more robust in densely populated areas. Broadband can be more costly for some rural areas and there may be a lack of cellular coverage for parts of the community. 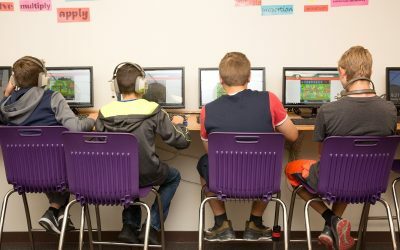 E-Rate has helped Cisco upgrade its internet connectivity and ensure students in blended learning classrooms have connectivity at all times. 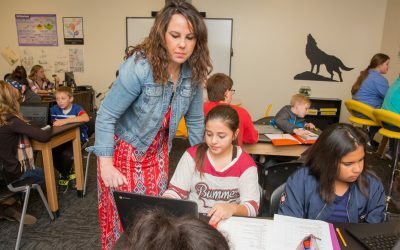 Finances: As a demonstration site for the Raise Your Hand Texas Foundation’s Raising Blended Learners initiative, Cisco ISD received a grant of up to $500,000 for the first three years of implementing blended learning. Given it is currently in its second year, the exact amount of monetary support is unclear. While the district has benefitted from additional funding, it is planning for its blended learning efforts to be sustainable after year three. Technical Support: Cisco ISD has benefitted from additional supports provided to Raise Your Hand Texas’s demonstration sites, especially those of the CA Group, whose guidance and support have helped accelerate their implementation of high-quality blended learning. Teacher Support: The blended learning pilot affects a growing percentage of teachers in Cisco ISD. The blended learning director provides group-based and individual supports to all blended learning educators. Cisco ISD believes that blended learning can benefit all of its students and plans to scale the work across the district. Cisco chose four teachers to pilot this work in the first year. 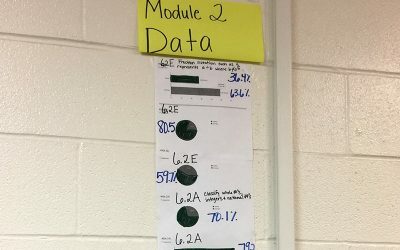 The math teachers in 4th-7th grades designed diverse approaches to blended learning and proved resilient through the early challenges of changing their instructional approach. They learned so much in their first year that they expanded it to 3rd and 8th grade in the following year, and added science as well. Blended learning will expand to 1st and 2nd grade during year three, as well as adding social studies in the junior high school. Year three will also be the first time that blended learning begins to impact Cisco High School. In subsequent years, Cisco will focus on blending learning in ELA by grade bands (e.g 3rd-5th). The initial implementation has been so successful that teachers outside of the formal pilot efforts are starting to incorporate blended learning into their classes. Teachers seeking instructional solutions have spoken with blended learning pilot teachers and tested out some of their best practices. 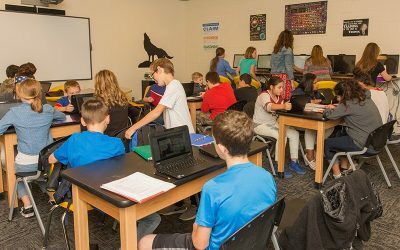 While Cisco grows and improves its blended learning practices within the district, it is also working to share its lessons learned with other districts. 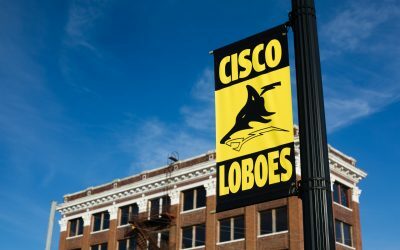 Many rural districts do not have the resources for frequent travel to conferences and blended learning schools, so Cisco is creating a “road show” that brings their blended learning experience to a reasonably close community within Texas.